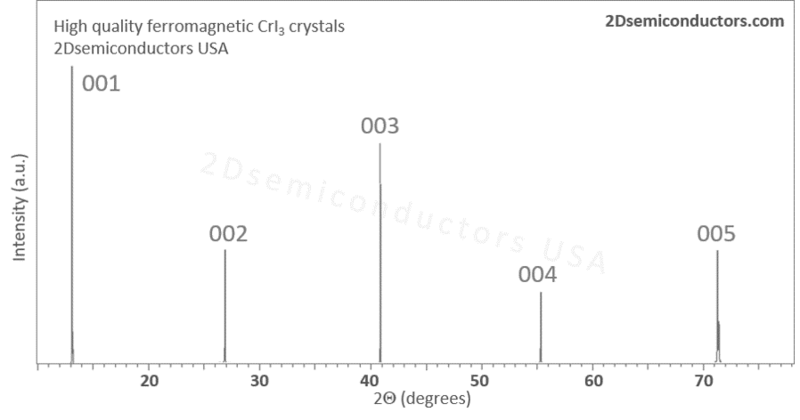 CrI3 (chromium triiodide) is a ferromagnetic semiconductor with Curie temperature (Tc) 61 K with significant magnetic anisotropy. 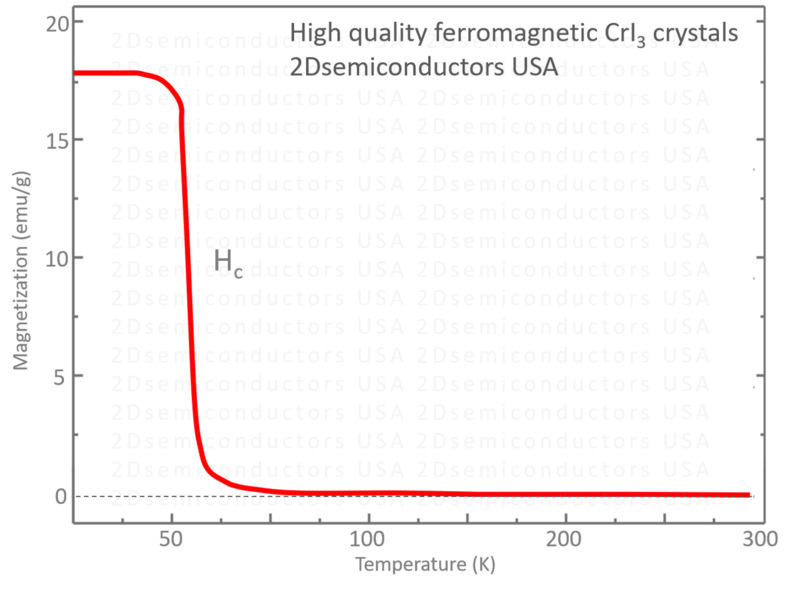 Unlike other ferromagnetic vdW crystals the ferromagnetic order is also present down to monolayers (Tc of 45 K), and the magnetic behavior of CrI3 can be well described by the Ising model. Our CrI3 crystals are grown using chemical vapor transport technique at our facilities. Based on our experience, the amount of vacancy defects plan a vital role is their stability as well as FM response. All these products are handled using non-magnetic tweezers and in non-magnetic environment with tools that are free of magnetic impurities to ensure intrinsic magnetic properties can be confidently measured and probed.